Bananas are one of the most commonly consumed fruits across the globe for reasons more than one. This yellow fruit, wrapped in its own convenient packaging, is a pack of a big nutritional punch in itself. Today, at least 107 countries grow bananas, and the fruit ranks fourth among the world’s food crops in terms of its monetary value. Bananas are a great source of nutrition and help in combating a number of diseases and health-related disorders. In spite of its beneficial traits, there is one question that most people have: “what is the best type of banana that one should consume?” It is scientifically proven that the benefits of eating ripe bananas are far more as compared to the benefits of eating unripe bananas. Both types, however, are healthy for your body. Here are 15 top reasons why eating bananas is actually good for you. 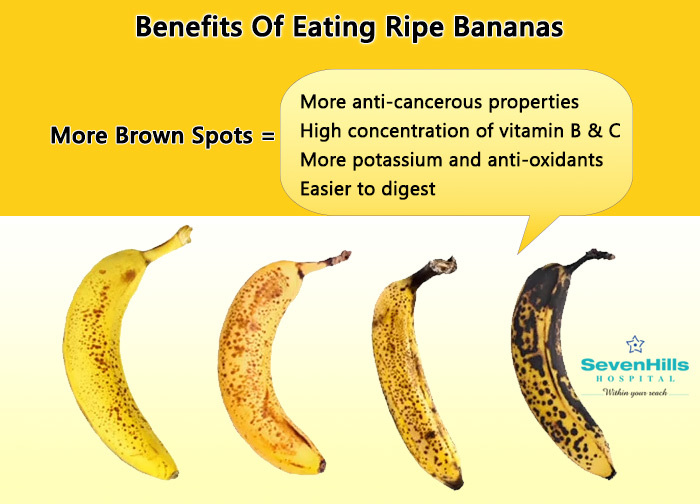 Pectin from bananas helps in detoxifying your body. Vitamin A, C, E and other nutrients from bananas improve your vision. Iron from bananas relieves anemia and purifies your blood. High potassium and low sodium in bananas lowers blood pressure and protects you against heart attack and stroke. Delphinidin is an antioxidant found in bananas that helps in battling certain types of cancer. Bananas protect you against chronic diseases like certain cancers, diabetes, and cardiovascular diseases. Rich in glucose and easily digestible, bananas help in increasing your energy levels. They make your bones stronger. 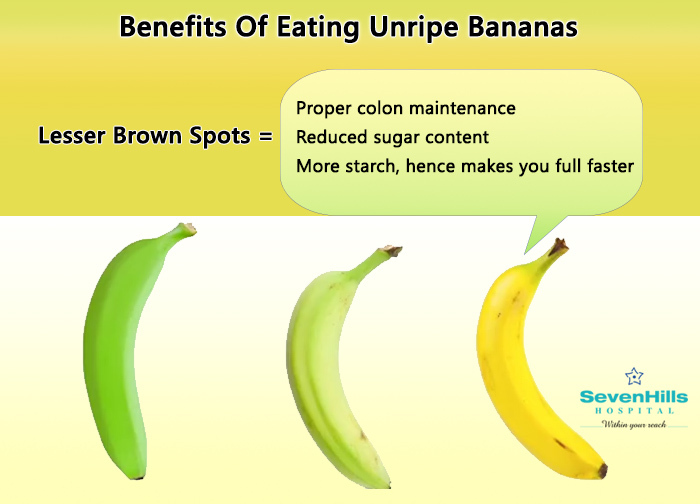 The fiber-rich bananas help in easy food digestion and in normalizing your bowel motility. Bananas lower bad cholesterol levels. They also help in stabilizing your blood sugar levels. Bananas make you look less bloated as they can help in fighting back against the gas and water retention in the body. You sleepbetter as bananas promote relaxation and help in regulating your sleep. You feel less stress and anxiety. Bananas help you in building lean muscles that help you recover from sore muscles, thus making you happier as well. Hopefully I like bananas and I eat them every day. When it comes to eating healthy and nutritious food it's hard to make changes in your daily meals. the usual diet can't be changes acutely one day. This is the main rule from all reviews on PrimeWritings.com and I think we should follow it.